Brittany Ferries Économie is a new no-frills service which operates between Portsmouth and Le Havre. Book Brittany Ferries Économie today with Leisure Direction – All Brittany Ferries Économie routes available to book including Portsmouth and Le Havre. 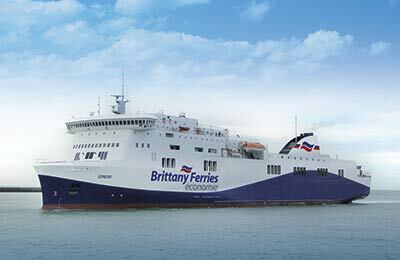 Brittany Ferries Économie offer a no-frills service between Portsmouth and Le Havre in Normandy. This ferry service is ideal for those looking to find an inexpensive ferry crossing to France. 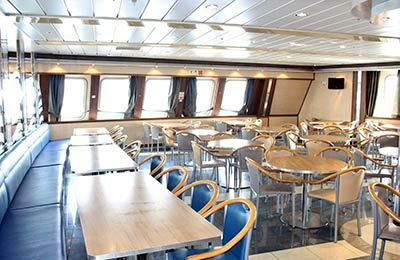 On board the Etretat ferry, you will find a self-service restaurant, a bar, a movie lounge and a seating area. For night crossings, en-suite cabins will be available to book. What does my Brittany Ferries Économie crossing price include? Can my pet travel with Brittany Ferries Économie? You can take your cat or dog on your Brittany Ferries Économie sailing. When you select your preferred route, simply select the number of dogs or cats that you are travelling with. See our pet booking page for more information. What's available for the Kids? All Brittany Ferries Économie ships (excluding Etretat and Normandie Express) have play areas specially designed for young children. 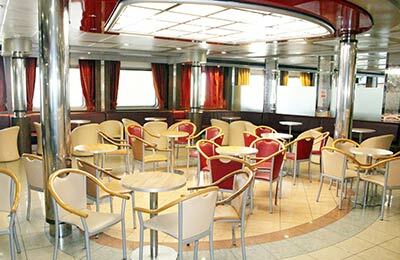 You'll also find games rooms, live entertainment and even a swimming pool (on board Pont-Aven or Cap Finistère). On busier crossings in the summer holidays you'll often find children's entertainers. You can take your cat or dog on your Brittany Ferries Économie sailing. When you select your route, simply select the number of dogs or cats that you are travelling with. If the option is not available, please contact us. Pets are only allowed in pet-friendly cabins and designated exercise areas but not in any other public area of the ship (except registered assistance dogs). We recommend that your dog has been exercised and toileted before boarding the ship. Once you have parked in the garage, a member of our crew will greet you and show you to the external stairs which take you to your pet-friendly cabin on deck 6. At this point we will also give you the code to access your cabin. On arrival, pet owners will be invited, over the tannoy, to return to their cabins and collect their pets. At this point you'll be allowed to return to your vehicle using the same exterior stairs. Your dogs must be muzzled and on a lead when you are transferring them to and from your cabin and when in the pet exercise areas.